New Zealand are not used to suffering a nightmare of a match, but in Hamilton, a place which played a key role in the birth of the famous musical The Rocky Horror Picture Show, they experienced just that back in 2009. 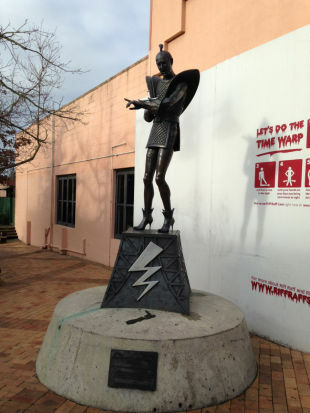 There is a life-size bronze statue of the musical's character Riff Raff just off Victoria Street to mark the place on which the Embassy Theatre used to stand where the musical's creator Richard O'Brien used to watch the Late Night Double Feature show and cut hair nearby. It provides a slightly different bronze incarnation than the ones of various rugby-themed individuals you find sprinkled near rugby stadiums in the country. This weekend New Zealand are chasing their 17th straight win. But there is also another important number in play - 1743, the number of days since they last lost a Test in their own country. It was a 32-29 defeat to the Springboks which saw South Africa win their first Tri-Nations title in five years. It was a hard fought match where Morne Steyn and namesake Frans slotted 22 points with Fourie du Preez and Jean de Villiers grabbing their tries. At No.8 that day was Pierre Spies, he realised immediately just how big a deal it was to beat the All Blacks on their own turf. "Once you can get your preparation in order and get the players together, it's all to play for, it's four white lines in a game of 80 minutes," Spies told ESPN. "It's always tough playing in New Zealand but we knew if could get on top then we could hold it out. We beat them in South Africa before so we knew we had it in us. "It was the first time for many of us winning in New Zealand and it's always been one of the highlights of my career." There is no secret to beating the All Blacks according to Spies but South Africa had the psychological boost of a recent win over New Zealand under their belts. It helped in the mental preparation side of the game but they also needed a solid game plan. "You need an all-round game," Spies said. "England beat them in 2012 but you don't know how a game will unfold but it's a case of preparation meeting opportunity. We shouldn't really give them too much respect, I always believe the way to beat them is to not give them more respect than they deserve, they're just another team. Everybody is beatable." Spies' memories of the match are of a fairly hostile atmosphere with the cow bells Waikato fans are notorious for, due to their old mascot Mooloo, clanging through the din. His personal battle was against Kieran Read at the back of the scrum. "Kieran has done immensely well in his career. He's top of the world last year and it was good rivalry. We have a good friendship and we always have a good chat after the games. He's a very talented player and it was a good time for us back then. Hopefully we can do that again in the next few years." Despite wins over the British & Irish Lions, a World Cup and various Super Rugby titles, the triumph in New Zealand is right up there for Spies. 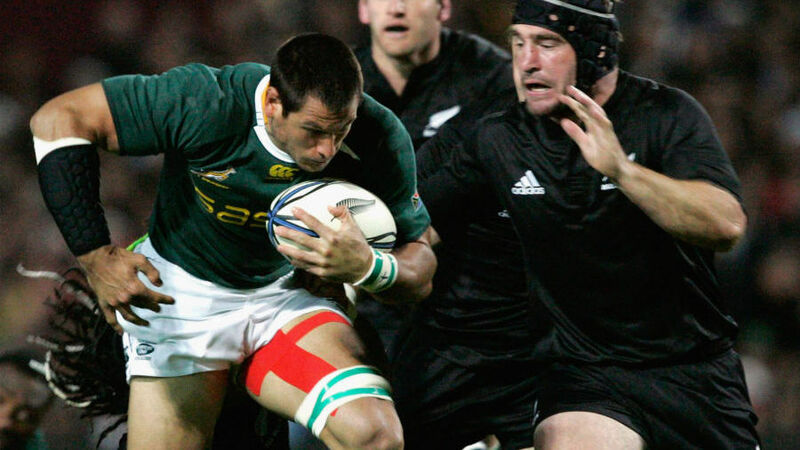 It gave the Boks a piece of silverware but also shattered an illusion of the invincibility. England will hope to achieve the same on Saturday. "It was an incredible feeling. The night after at the hotel was quite a story to tell but they stay on tour. It was magnificent, pure jubilation."